Every business in the UK has a legal duty to deal responsibly with its waste. Your duty of care lasts from the moment you produce the waste until you give it to a licensed waste business to deal with. You’re still responsible to check how that business deals with your waste if you suspect it’s not following the duty of care. 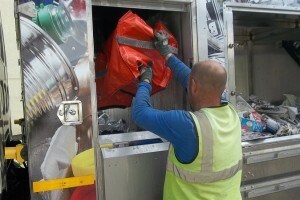 European legislation says that all non-hazardous waste must be treated before it can be sent to landfill. Collecting materials in separate containers and being able to prove they were sent to a recycling plant is considered “treatment”. Because we can specify exactly where your materials go we can provide proof that you have fully undertaken your “Duty of care”. We provide legally binding Waste Transfer Notes as standard, and can tell you exactly where your materials have gone. You must consider all other options before you dispose of waste. Consider these 5 steps in order. 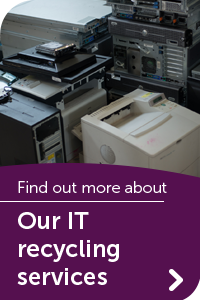 They’re known as the ‘waste hierarchy’. Prevent – eg use fewer materials. Recover – eg for energy recovery. We will will help you fulfill all your legal requirements.